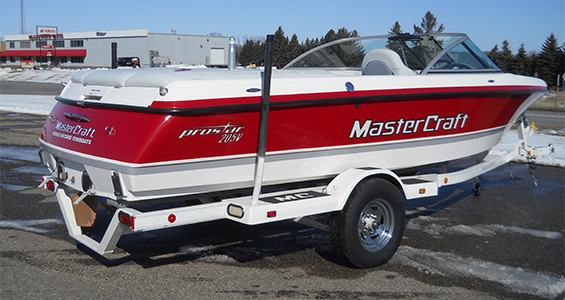 Now that the winter season in Minneapolis, MN has ended and spring has arrived, it is time to start thinking about getting your boat back out on the water. Warmer weather not only attracts boat lovers, but local fish get excited as well! Have you just noticed damage on your boat that needs to be addressed? No need to worry as Anchor Marine Repair, the number one boat repair shop in the Minnesota area is right around the corner. Count on our team of repair experts to fix your boat efficiently and in a timely manner so that you miss as little time out on the water as possible! When it comes to working on your boat, we understand that you need to have a reliable team that you can trust and count on. After all, a boat is a large investment, so it is important that it is well taken care of. At Anchor Marine Repair, customer service is our number one priority. From the minute we receive your boat to the time it is ready for pick up, your boat will be carefully maintained every step of the way. With more than 10,000 square feet of covered work space, your boat will stay safe while visiting our repair shop. Additionally, all of our repair specialists have been on staff for at least 10 years and have more than 45 years of combined boat repair experience. That type of loyalty is unheard of this day in age in the boat repair industry. If you are not sure how you’ll get your boat over to our shop, no need to worry! We offer complimentary boat pick up and drop off services within a 250 mile radius of Minneapolis, MN. If your boat is in need of a quick repair before you hit the water this spring, there’s no better partner in Minneapolis, MN than Anchor Marine Repair. Give us a call today at (763) 972-3540 and let us provide you with a complimentary repair estimate so you can get back out on the water in no time!